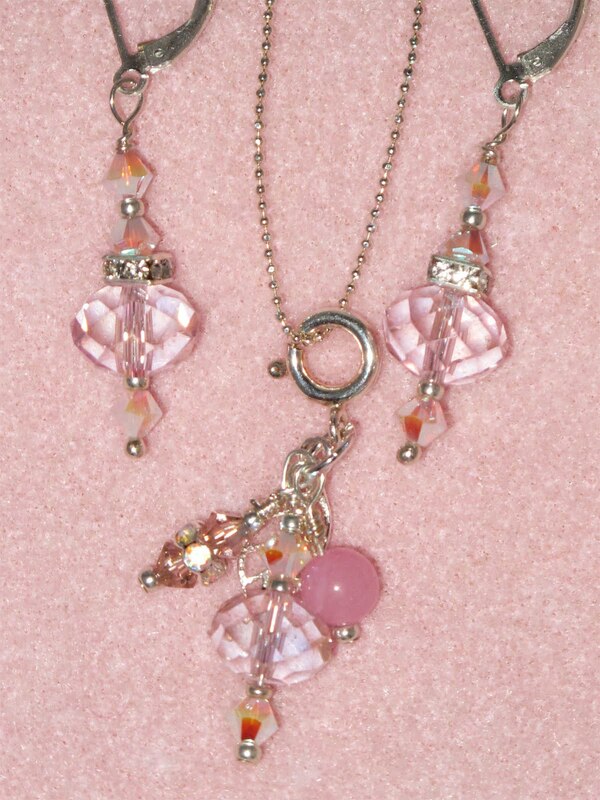 In addition to the pale pink glass and swarovski crystal earrings, there is a matching 'chi charm' that either comes on a sterling chain or by itself to be added to an existing necklace or bracelet. CHI is the word that translates as 'energy of life'. Depending on the eastern discipline, meanings can vary, but I always include the energetic charge of a genuine stone as a prompt to think about the healing. In this piece, the pink dyed jade is good for emotional grounding and confidence building. It brings balance, courage, wisdom and compassion, and supports several physical ailments including PMS and high blood pressure. Be well today and always. Namaste.